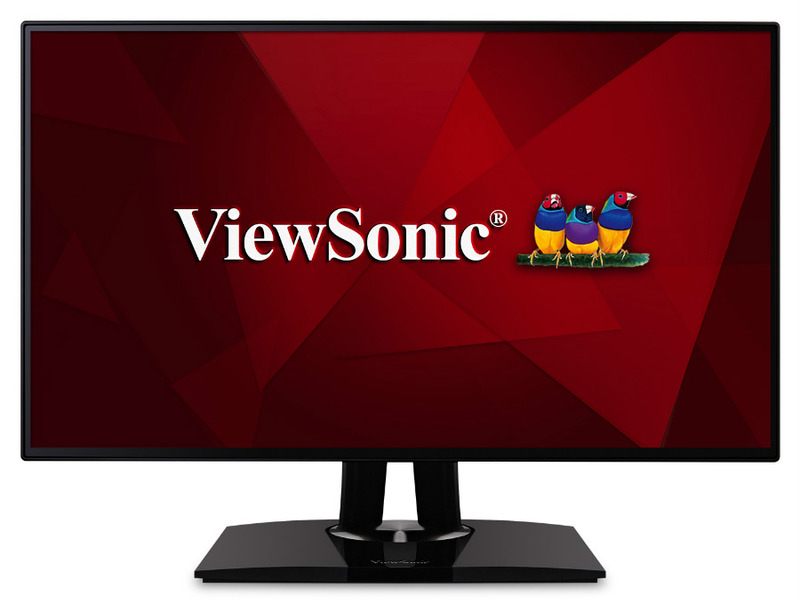 The ViewSonic VP2468 offers factory-calibrated color accuracy in a form factor mostly suited for home and office use. This IPS-equipped model provides an excellent sweet spot for most users combined with a minimalist exterior and fantastic price to performance value. It’s rare to see hardware calibration in 1080p models nowadays, but it is worth checking out if that advantage pushes the ViewSonic VP2468 past its competitors. The ViewSonic VP2468 features a universal formula of aesthetics which are subdued but should fit within a wider range of tastes. The face has a bezel-free design along with a friendly price which makes this model an appealing option for multi-display setups. The matte-black finish with glossy trimmings is a conventional design treatment for entry-level products, but this device looks good and pulls it off without cheapening the package. Even if the ViewSonic VP2468 is intended for budding photographers and professionals with limited budgets, the reliable brand did not skimp on useful features that rank high among our standards. For starters, the included well-built stand features a complete range of ergonomics with height, tilt, swivel, and even pivot adjustments. It’s rare to see a budget 1080p monitor with a mechanism like this, and one that is well-built and overdesigned for what it’s holding. The armature also detaches to reveal 100 x 100 VESA holes for your mounting purposes. Adding a cheap but reliable solution to the price of the ViewSonic VP2468 shouldn’t hurt your budget, but for most purposes, the stand already has a lot to offer. During our review, we did not notice any flexing or creaking from the plastic, and the monitor stood stable on our desk. Input options are necessary for a utilitarian product, and the ViewSonic VP2468’s I/O layout exceeds our expectations. The panel includes DisplayPort 1.2, a Mini DP slot, two HDMIs, and a DP out for daisy chaining multiple VP2468s. You also get four USB 3.0 slots for peripherals, although there are no included speakers which we won’t miss anyway. The ViewSonic VP2468 sports a 24-inch 1080p IPS panel with a refresh rate of 60Hz, a response time of 5ms, and 1000:1 contrast ratio. These are standard specs, but the module installed here has a 6-bit+FRC interface, and a hardware calibration enabled 14-bit LUT for maximizing accuracy. These numbers result in a 100% sRGB gamut coverage with slight extensions in some shades, proving that this model is a capable and accurate product for editing. The included presets in the ViewSonic VP2468 should cater to a myriad of professionals needs since it includes filters for EBU, SMPTE-C, Rec709, and DICOM SIM all of which are broadcast standards for different applications. Each one is factory calibrated, and all throughout the testing of each, most, if not all have a maximized coverage which could extend the viability of this affordable product. Contrast and panel uniformity are also excellent unlike what we have come to expect from budget-oriented products which often have compromises. The contrast ratio of the ViewSonic VP2468 plays in between 720:1 to 800:1 depending on brightness levels, but using sRGB mode with Uniformity turned on drops it to 400:1. In contrast, sRGB without Uniformity mode raises it back to 790. We didn’t notice any deviations across the screen’s panel, and variance in illumination was at a minimal delta of 3% on the corners. We tested the ViewSonic VP2468 with Battlefield 1 and Mass Effect Andromeda with no disappointments except for the expected motion blur due to the 60Hz and 5ms spec limitations. Colors were pleasantly saturated and lively, while the good contrast levels gave justice to the vast darkness of space and the lonely confines of close quarter battle environments in the two titles. Looking past these technicalities, the ViewSonic VP2468 felt responsive during combat sequences of our testing. Input lag measurement reveals that this model only has a rating of 5ms or less, making it a snappy option in case you want to game on the side. Each of our control inputs pushed through the screen at all times, although there were minor blurs and interlacing from time to time in fast paced action. The ViewSonic VP2468 is a perfect choice if you are in the market for a starting display while you expand your photo editing or graphic arts career. At the time of this review, this model only costs around $250 which is expensive for 1080p products, but very cheap for something capable of professional output. Although, the affordability did cut out the popular Adobe RGB standard from the list, a standard which modern professionals require in a high-quality display. For the ViewSonic VP2468 to include that feature, the company would need to include a far more capable panel which would, in turn, raise the cost and defeat the purpose of this product. Other than that, the ViewSonic VP2468 is excellent for gaming despite its 60Hz and 5ms limitations. 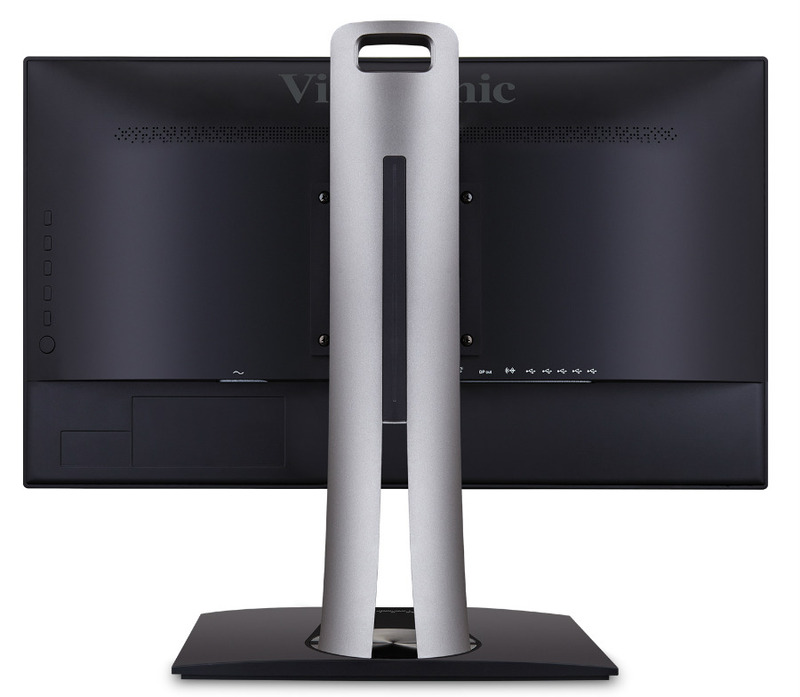 If you are looking for a starting designer display, the ViewSonic VP2468 is a superb and affordable choice. i just bought a new monitir viewsonic vp2468 but i unfortunately found that colors are not great at all as compared with my dell i7559 laptop.Can somebody please guide me what to do? Is there any specific settings of colors which i need to change on this monitor? Hello, Ishtiyaq! Have you tried cycling through the different filters in the OSD? Try out the sRGB mode and see how that appears. It might also help to set the brightness anywhere from 30 to 50 in custom mode. Adobe RGB is not as crucial as many designers think – unless there is a lot of luminous lime green in your work. Hello, Jon! Thank you for sharing your valuable insight. We agree that a perfectly accurate sRGB performance is much more critical for editing in general, and saying that Adobe RGB is an everyday essential is an exaggeration. although it has its uses and having it and not needing it immediately than needing it later on without having it (Murphy’s Law) could apply as well.